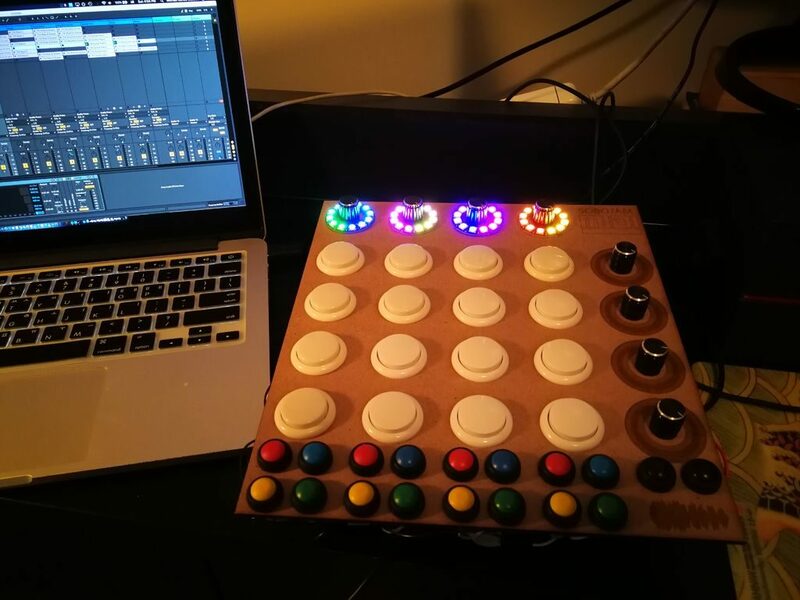 Michael Sobolak was inspired by the hardware dedicated to Ableton digital audio software, along with the DIY MIDI Fighter pads that others have constructed, to make his own light-up version. 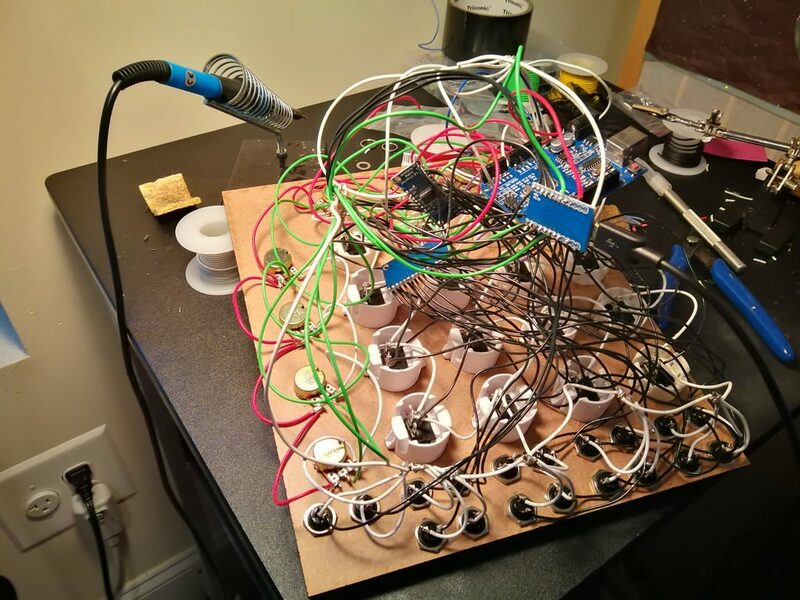 His device is cut out of ¼-inch MDF, housing a 4×4 array of main buttons, 18 smaller buttons on the bottom and eight potentiometers, four of which are surrounded by NeoPixel rings. To handle this massive array of inputs, he turned to the use of multiplexers, creating a spaghetti-like—though functional—wiring arrangement hidden underneath. The pad uses an Arduino Uno to control the NeoPixels, while a separate board is tasked with the MIDI interface. You can see Sobolak’s project crank out music in the video below, with LEDs that react to potentiometer input settings.